Strawberry Kush by Honey Vape hits in the frequency of happiness and uplifting. Depending on your body chemistry the effects profile branches out in 2 directions from there. It may make you feel motivated or creative. 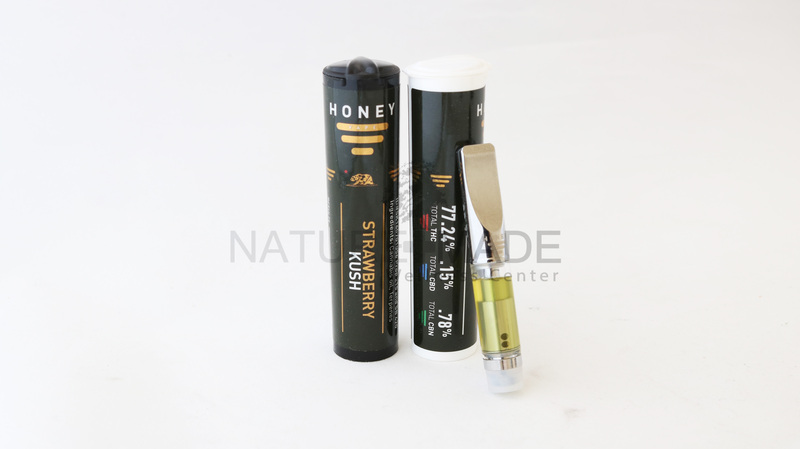 Because of its great taste and flavor, patients tend to sip on this one a little more, so BE WARNED, Strawberry Kush by Honey Vape is powerful medicine. Over medicating will lead to narcotic effects.